The first step is thefree consultation where we discuss the client’s current situation in Zoho and where they want to go with Zoho. After this, I can give the client an estimate for their work. The client accepts the estimate and makes a deposit. At this point we register you as our customer with Zoho for documentation purposes to maintain our partnership with Zoho. 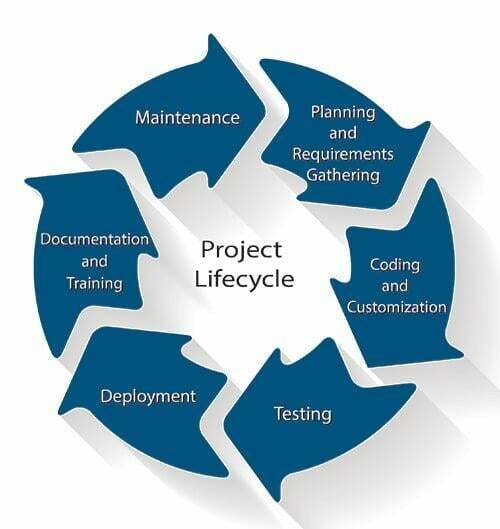 Then we start the project and we follow the software development lifecycle at Delta Data Services. o For planning we generate a schedule for the client to detail the tasks, their delivery data and who is responsible. We agree on this with the client. o Requirements can be written by the client or we can enhance the client’s requirements or write them from scratch through interviewing staff and reviewing documentation. o This work is normally done as homework and remotely in contrast to requirements gathering that needs a lot of interaction to get it correct. To setup the marketing automation, we would do all the customization and coding from our office. o My advisor during my master’s degree told me something I’ll never forget. He said, it’s one thing to build a model, its another thing to show that it works. We spend a lot of time at Delta Data Services ensuring that the customization work as they are intended in Zoho. o Documentation: We have some documentation ready already in the form of a User Guide for CRM. We have many blogs of Admin tips which we will be converting to a manual soon as well. We can also make custom documentation as well. o Training: In-person training is the best if you are local to Southern California or willing to pay for travel to other areas. We can also do live, virtual training. We can make videos that can be accessed on demand. o Deployment: There is always a big initiative when we go live with customizations. We recommend setting up the sandbox (test site) in CRM and making changes there before transferring them to the live site. In other sites, there is no sandbox, so we must work smart to make sure changes are always good and working correctly through testing. o We like to have a maintenance contract with organizations. We use Zoho Desk to support our customers. After going live, we like to offer a proving period where staff can contact us with their technical issues. o We are always available to assist with any changes you require to your Zoho systems into the future.